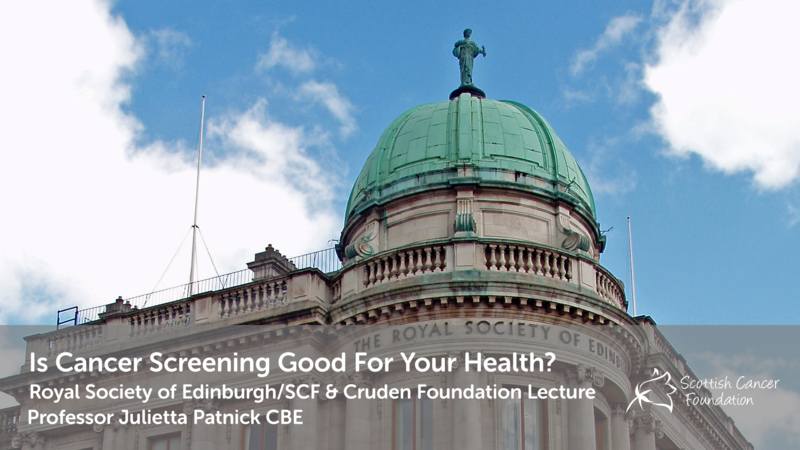 Scottish Cancer Foundation | Events | Royal Society of Edinburgh / Cruden Foundation Lectures | Is Cancer Screening Good For Your Health? The Scottish Cancer Foundation are delighted to announce that Professor Julietta Patnick CBE has accepted our invitation to deliver the 2016 Cruden Foundation Lecture at the Royal Society of Edinburgh on September 12th. This Lecture will look at Cancer Screening within a UK perspective – discussing the risks and benefits to public health. Professor Patnick was Director of the NHS Cancer Screening Programmes responsible for overseeing the Breast, Cervical and Bowel Cancer Screening Programmes and the Prostate Cancer Risk Management Programme. First appointed to the NHS in 1979, she became involved in screening with the establishment of the Breast Screening Programme in 1987. 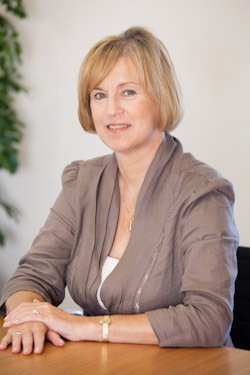 In 1990 she was appointed National Coordinator of the Breast Screening Programme and, subsequently, National Coordinator of the Cervical Screening Programme. She later took responsibility for implementing additional programmes in cancer screening. She is currently Director of the NHS Cancer Screening Programmes, which is managed by Public Health England. Julietta graduated in Ancient History and Classical Civilisation from The University of Sheffield. She is a Fellow of the Faculty of Public Health. Register for Event: Is Cancer Screening Good For Your Health?